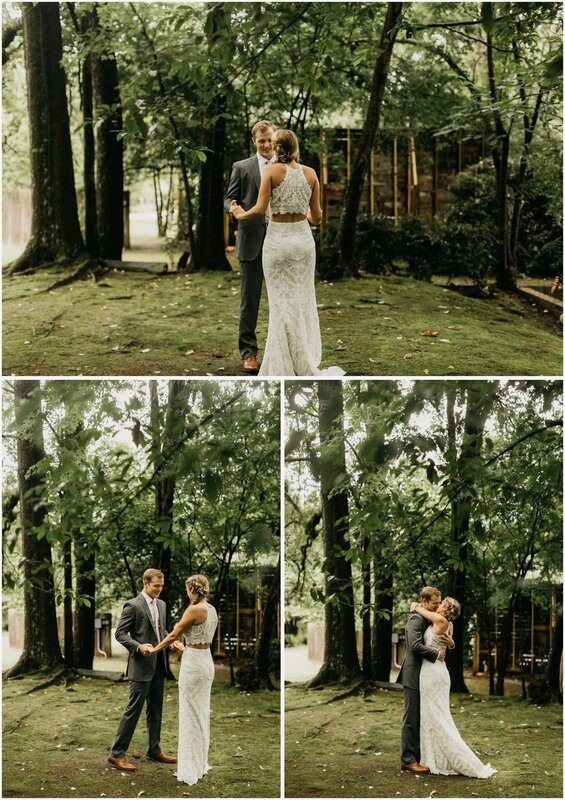 I got to help Lyndsey Anne Photography shoot this gorgeous, summer wedding at the Gabrella Manor, in Birmingham, Alabama. If you’re looking for wedding venues in Alabama, this is definitely one you should look up. Now I don’t normally blog weddings that I second shoot for, but I couldn’t help myself with this one! Everyone and everything about this wedding was amazing and I just had to share it with you all. The airbnb that we stayed at with the girls was so gorgeous, as you can see in the first few shots. 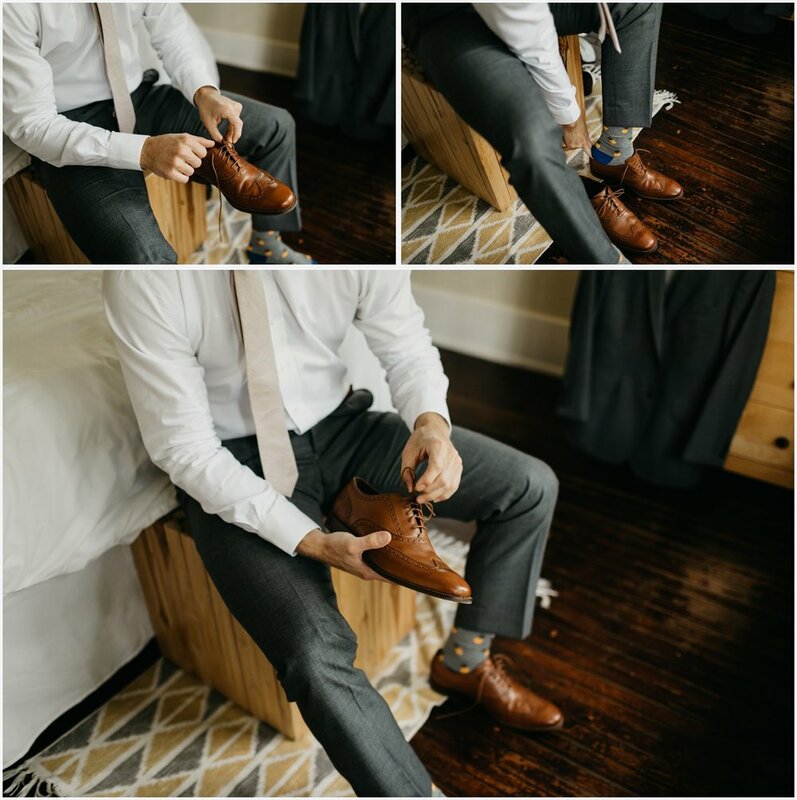 Then I went to capture the groom getting ready and I gotta say, those guys were hilarious! 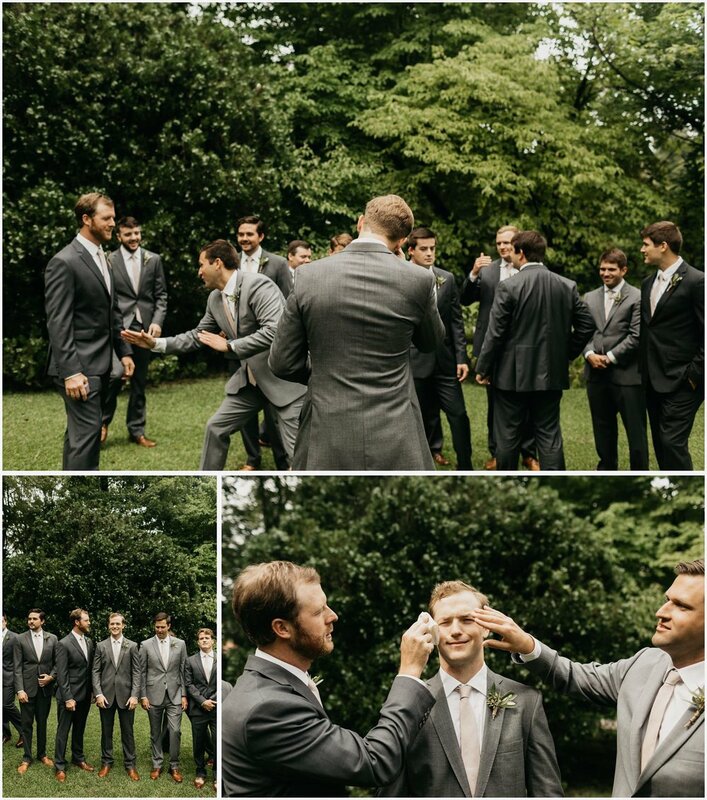 Never a dull moment with groomsmen. The bridesmaids got ready at the airbnb, but the bride put her dress on in the bridal suite at the venue. It was so much fun watching the bridesmaids sing their hearts out while they were waiting and to see how excited they were when they saw their friend in her wedding dress for the first time. How absolutely perfect is this stairway on the side of the Gabrella Manor?! Perfect for the father/daughter first look. So many tears were shed. You guys… there are so many amazing nooks and crannies in this venue! This little alcove was hidden away behind the ceremony site and it was absolutely perfect! It was like stepping into a fairytale. And now a little break to show you all the incredible details. The gorgeous bouquet, cake, guest book, etc. It was all amazing. It was also about this time that I had gotten bit by a ton of ants that caused my foot to swell up as the day went on. So glad that we had an hour break for me to go through the sickness that followed it and that I was good enough to go again just as the ceremony started. The ceremony was held underneath an awning of leaves and vines and the big fans were blowing, because it was June and HOOOT outside! 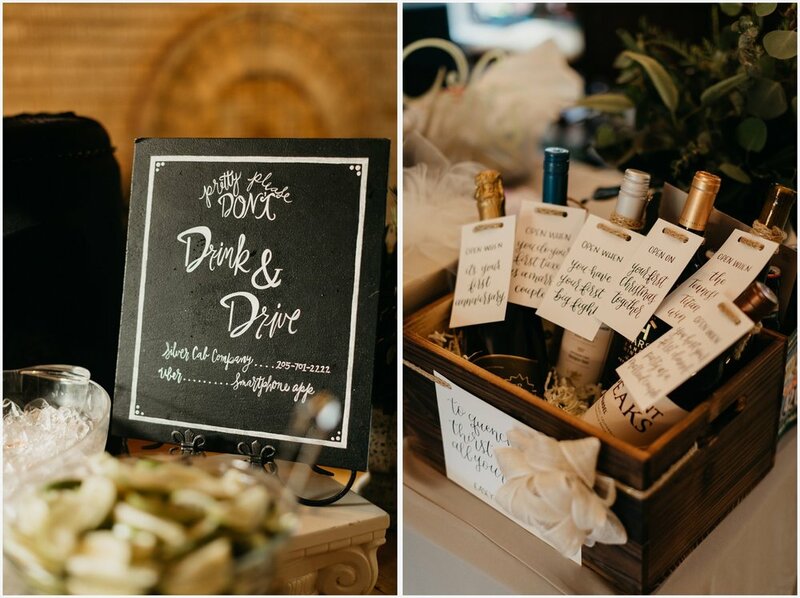 Some of my favorite moments happen during the reception and there were definitely a lot of good ones at this wedding! They shoved cake in each other’s faces, the mother of the groom took the garter, they let off lanterns (which we soon found out we weren’t allowed to do there, oops…), and they went through the send off twice. Because why not?! 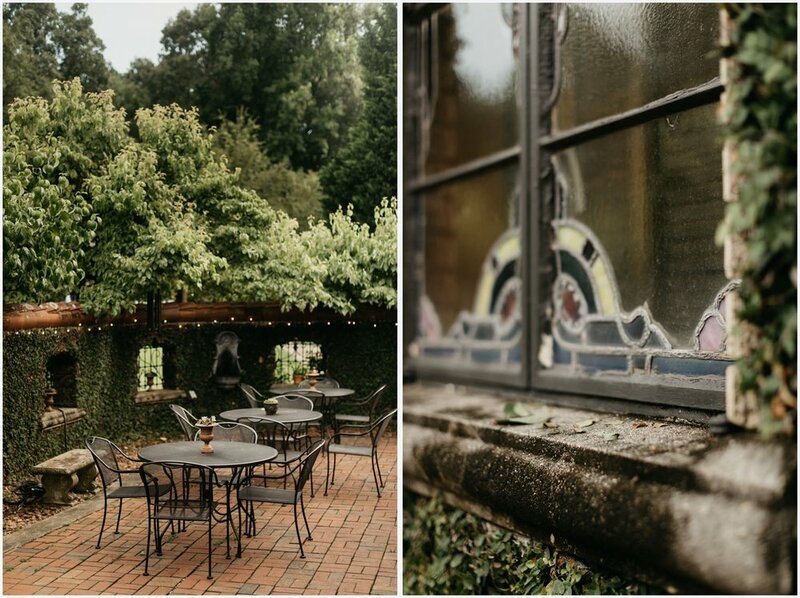 So if you’re looking for a wedding venue in Birmingham, AL, you need to get married at this gorgeous place and hire me as your wedding photographer so that I can photograph all your beautiful memories in this equally beautiful place! Let’s do this!